Leather jackets have always been the star choice of men, giving that touch of class and rebelliousness that they like so much. Do you want to set trends with a leather backpack? These are ideal as a complement and to carry our things in them. In addition, it is difficult to not wear the clothes you wear. There are many items that can work perfectly as clothing accessory. 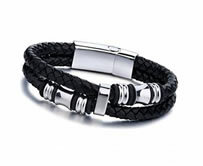 That is why it will be worth talking about the varieties of leather bracelets for men. It is an essence for the majority of the feminine people that they put adornments that complement with their clothing. That’s why it’s important to know more about leather bracelets for women. Leather handbags are one of the most functional accessories. This is why they are very useful in our wardrobe, not only for women, but also for men. With the passage of time and the evolution of culture, people have fused style and tradition. 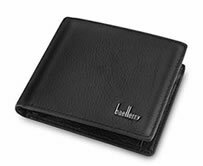 No one buys a wallet for the sole purpose of carrying money! The elegance and seriousness of a man is also based on the way of dressing. 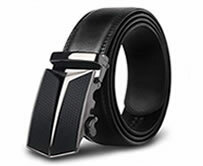 This is where the leather belt appears to take relevance. Every man must have at least 4 leather belts in various shades. 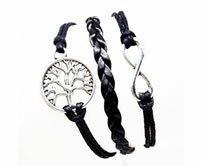 Browse our trendy ladies leather belts online. 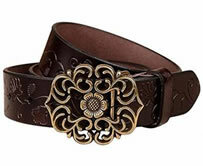 No lady’s wardrobe is complete without a designer leather belt! Leather skirts have become a very versatile and refined garment in recent years. There are certain garments that can not be missing in any wardrobe, this is one of them. 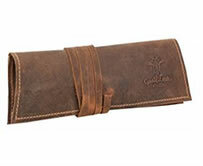 Leather is a synonym for quality, and our handmade leather covers will satisfy all your needs. This is because we have all kinds of cases. 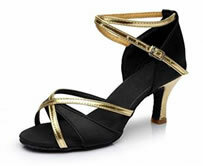 We have a fabulous range of leather shoes for women! 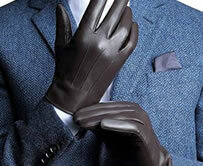 Leather gloves for men are made to maintain protection and as it is logical with the passage of time. They improve a young man’s appearance and became articles adaptable to different situations. Elegance and style is what is on offer from our range of leather gloves for women! 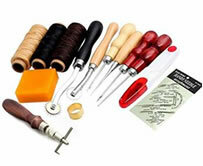 Maybe you think you need very expensive and professional tools to work with leather. But it’s not like that, with the right leather tools you’ll be able to work without complications and you’ll have everything you need. Leather leggings are always a good option to combine at certain times when you do not know what to wear. Are you tired of wearing those jeans every day and want to change your style? Surely you’ve ever thought about buying a briefcase and if you’re sure you’ve searched Google leather briefcases. And they are a perfect complement for both men and women. Can not you decide between a leather wallet or a leather purse? Do not worry we’re going to help you get out of doubt. And if not, you can always have at least one of each. 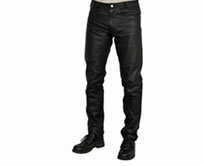 Leather pants are a fashion that grows more and more every day, they are becoming popular among the men and women of the world. They are designed to withstand the stress of the day to day grind. In the last year leather pants for women have become fashionable. Becoming one of the most used garments. Our women’s leather pants are of the highest quality. Leather watch straps are one of the most versatile accessories, apart from knowing what time we live we give a touch of style to our attire. They can be worn with any look, and allow us to organize our day. 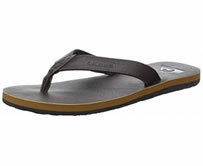 Comfort and elegance are just two of the benefits of wearing leather sandals for men. When talking about footwear in women, leather sandals for women are a pretty good idea. 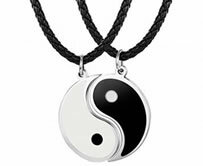 Leather necklaces are a remarkable accessory in fashion, since wearing it on your neck will be one of the things that most impact your look. They are a trend that will never goes out of style! Leather chairs are ideal for decorating a home or office. Whether for a kitchen, a living room, a dining room or an area with bar counter. They are perfect because they do not go out of style! Leather sofas are furniture with style and elegance, perfect for decorating a house. They are ideal to rest in after a long and tiring day of work. Or simply to enjoy them watching a family movie. 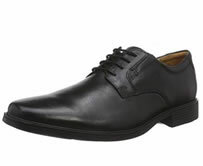 Browse our range of amazing leather shoes for men. If we look back, we can see that the leather dates back thousands of years. Formerly they were used to make breastplates, leather collars, among many other things. Above all, they were articles destined to keep various utensils or to complement the clothing of the old soldiers. This is because it was a thick, light and resistant fabric at that time. It was also used to protect against the cold, and let’s not forget that its main application was in the manufacture of footwear. At the time of the Romans, the biggest claimants of this material were the legions. They used this fabric in different garments, such as shoes, certain parts of the armor, covers for weapons and utensils, among others. Although all this with the passage of time has been evolving. Nowadays leather is used to perfect many other types of garments. In principle, it began to be used in certain articles related to the world of chivalry. As in cases to hold swords, in saddles, and even heads or bites. Until our days, where leather skirts, leather sandals, leather bags, leather leggings, leather gloves and thousands of other items are manufactured. Currently, the profession that is dedicated to treating leather in a greater number of forms and articles is leather goods. They make real works of art with leather, achieving unique garments and an impressive style. 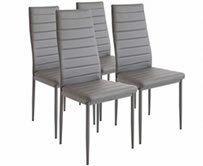 They are pieces manufactured by hand and thanks to this they achieve a perfect finish and unbeatable quality. You will be left with your mouth open, I assure you! So do not hesitate and take a tour of our online store. It is a unique place, where lovers of leather garments and artisans of this incredible fabric meet! One of the materials used to make popular clothes and accessories today is leather. This raw material is created from a special treatment made to the skin of some animals. Any product made from leather is characterized by having a class style, elegant and formal; and for an efficient distribution and sale there are leather stores . Due to the wide variety of objects that are manufactured from leather, the existence of explicit leather shops is necessary for a small group of products made from this material. 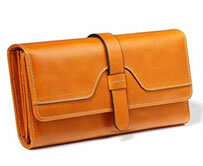 Some of the examples of most common leather stores will be detailed below. Another garment made from leather that is very popular today and that can be used in almost any situation is leather shoes. The leather shops in which only shoes of this material are usually sold lots of copies with different designs and colors. However, those of better quality tend to be very expensive, although you can always opt for some synthetic leather shoes. 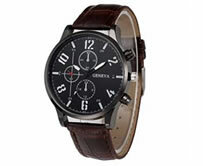 Leather watches for men and women. The most used objects to decorate homes are crafts and products made by artists. The leather stores that sell these items made of leather give you the unique style and elegance of the material that helps you adapt to almost any environment. The leather should be hydrated frequently, because when they are made of leather, they dry up. This hydration of the material must be done with special products avoiding wetting it, because the leather can absorb water and causing bad odors and cracking. Special cleansers should be used to maintain a shiny appearance. 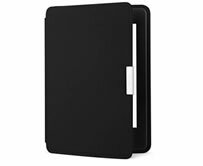 These special products are mostly provided in leather stores that are also usually sold in special offers with leather products.